LDJ Productions partnered with Gwen Stefani’s fashion label L.A.M.B. to put on one of the biggest shows at the 2012 Mercedes-Benz Fashion Week. With the end result of the event in mind, find a venue that will enable you to achieve the goal. When working on agendas and the flow of the event, keep the guest experience at the forefront. Choose a team. For smaller events, this can be one or two people; for larger events, up to 100. Begin with strong leaders and fill in from there. Organization is key to producing a successful event. Utilize organizational charts, time lines, and production schedules. From the moment you begin load in, keep the end result in mind: flawless execution. Enjoy the moment and be proud of what you have accomplished. When it comes to large-scale events, the biggest names in luxury and tech turn to executive producer Laurie DeJong and her team at LDJ Productions. A former Calvin Klein executive, DeJong has been a major player on the scene since founding her acclaimed full-service event management and production firm in 1999. “My favorite aspect and the most challenging aspect of event management are the same: taking a large, logistically complicated project and breaking it down to manageable pieces,” she says. To this end, DeJong and her team members often participate in professional development conferences and programs. It’s a necessity. Technology is rapidly changing, and LDJ Productions’ clients look to the firm to keep them current. LDJ has made a splash at YAHOO! 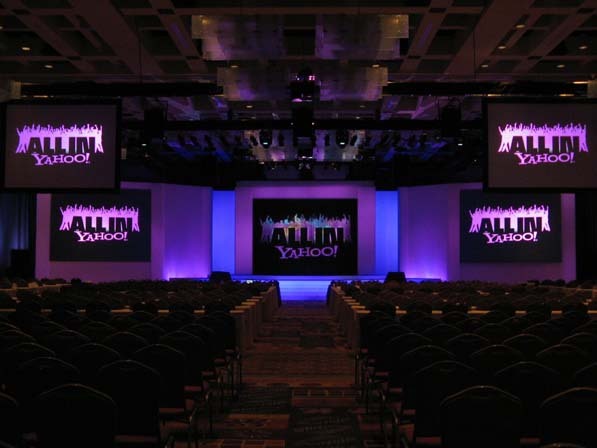 events, such as the 2009 National Sales Conference in San Antonio, TX.